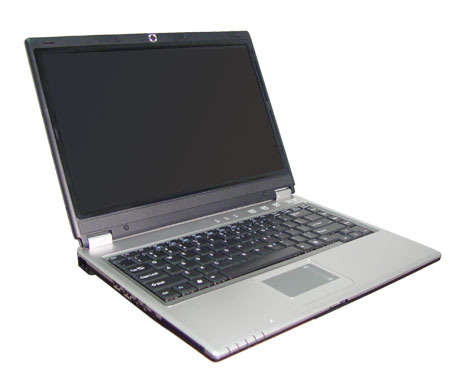 A typical EAGLE 5422 model with Intel 1.5GHz Celeron M processor and CDRW/DVD Drive sells from $779 with Windows XP. The INTEL Core Duo 2.0GHz EAGLE 5524 with DVDrw Burner tops out the series from $1399. “While other companies are offering one line of Laptops with Intel Core Duos and another with Pentium M, we’ve brought out a uniquely powerful product family that embraces all of Intel’s Mobil Processors. We find that CompAmerica can make better, more accurate recommendations to customers without sacrificing anything" said company CEO, Dr. Jack A. Shulman. CompAmerica's Eagle Laptops offer the widest range of Intel Mobil Processor Technology in the industry, and yet have various sought after features, said a spokesperson. CompAmerica offers EAGLE Laptops with wide 14” Glass View LCD screen, featuring a 160 degree angle of view, as well as a version with a standard 15” screen. 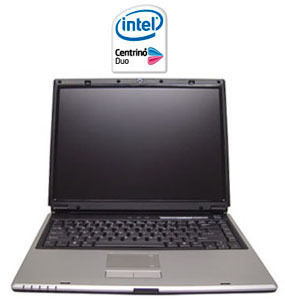 Further choices include VIA or Intel Video, choice of CDRW/DVD Combo Drive or a new 8X DVD+/-RW Burner, hard disk drives up to 120GB, Windows XP Home standard or Windows XP Professional optional (Linux and BSD are offered as well), Wifi B/G and a fighting weight starting at around 5 pounds. “One look at the EAGLE Laptop and you have to notice: we’ve come up with a very unique design, it's a geometric wonder, a precision laptop design that’s never been offered before. The EAGLE is lighter, yet really full size where it counts: a full size A4 keyboard and vibrant screen. The EAGLE outclasses laptops in the $1599-2599 league, yet it's less than half that price”, emphasized Shulman. A spokesperson indicated that CompAmerica's design studio had spent “man years studying how laptops using Intel Mobil Processors ought to be built”. The EAGLE, he continued, is what they came up with: “a new, sleek, slightly tapered, very light (5 lbs), very high-end, very optimized product. It can outpace anything in it’s class, particularly when equipped with a 2.16 GHz T2600 Core Duo Intel Mobil Processor. Yet, it has an amazingly low price for so versatile a machine”. Shulman, a 39+ year veteran of the computer industry whose product ideas have influenced its technology for decades, indicated he’d spent long hours evaluating customer interest before deciding to take CompAmerica along the high road: putting his customers' needs before those of CompAmerica. CompAmerica is an industry leader in distributing top quality laptops, pcs and servers, as well as industrial computers and tiny PCs used in communications, government and industry. For more information, visit http://www.compamerica.com/mobilstar or call 888-275-2771 (local number: 908-931-1200). The EAGLE (tall screen 5524)Available with any INTEL Pentium M, Celeron M, Core Solo or Core Duo processor. The EAGLE (wide screen 5422)Extraordinary technology.